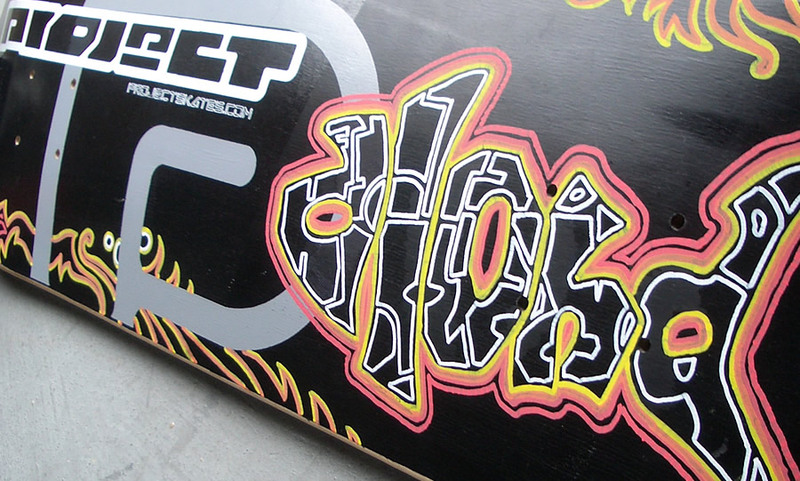 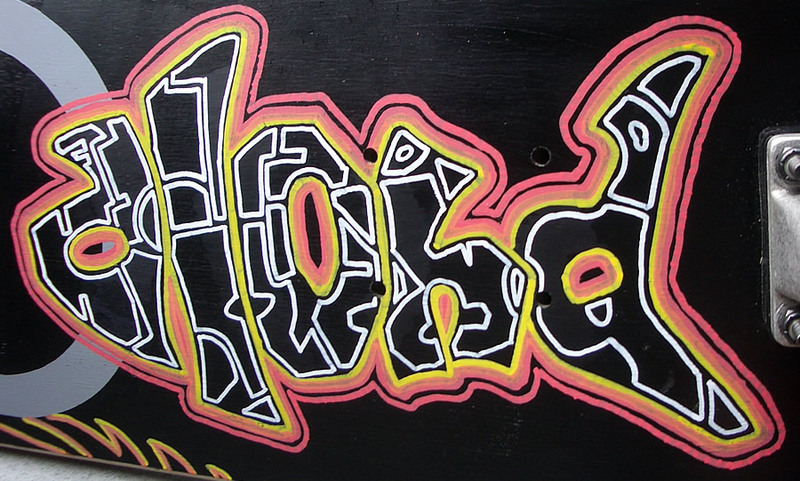 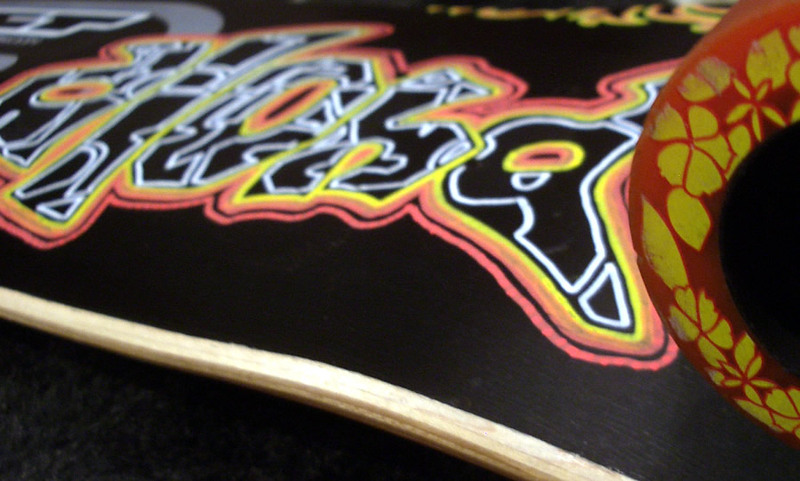 create a piece of deck art on a custom hybrid cruiser. 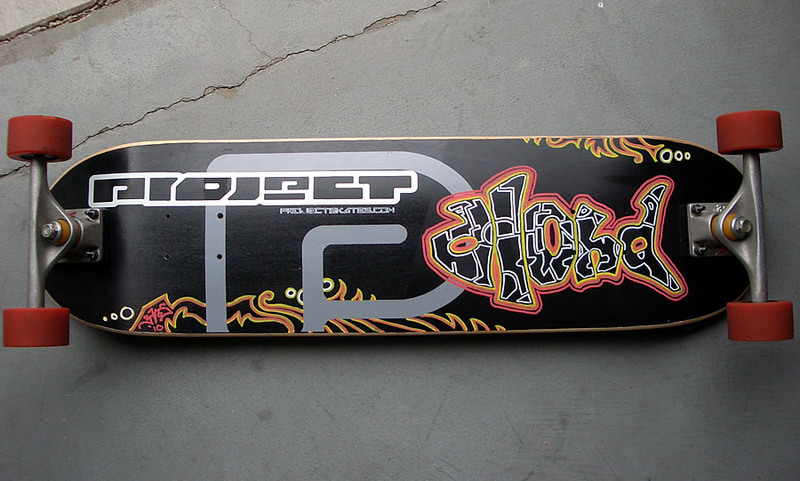 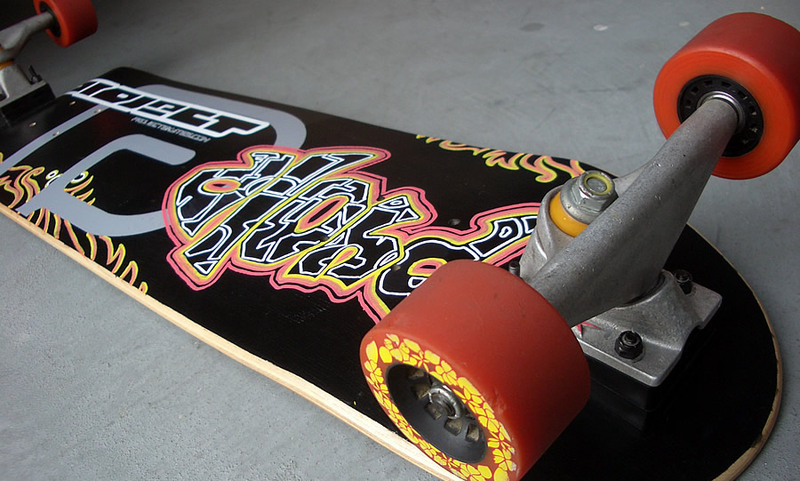 this projectskates custom-built hybrid cruiser board was built by adding new mounting holes out on the nose and tail of a standard street deck and finishing it off with wide trucks and longboard wheels. 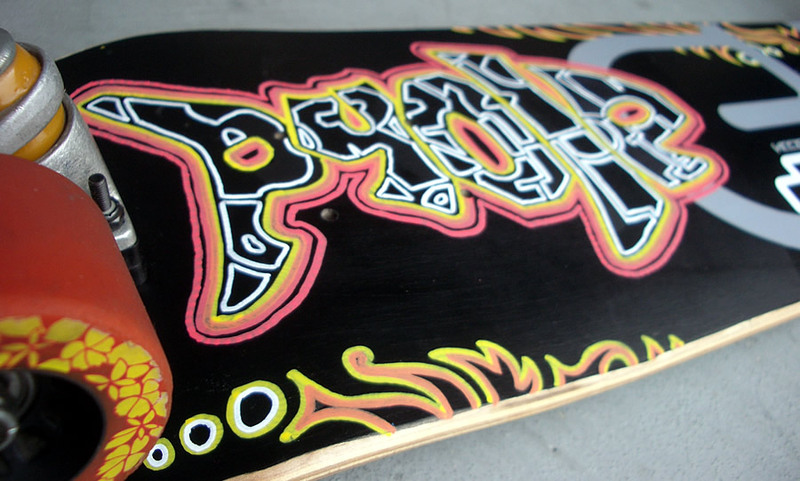 not wanting to turn down a chance to play with my new favorite paint pens, i was stoked to juice up this truck team logo deck into a fun, original ride. 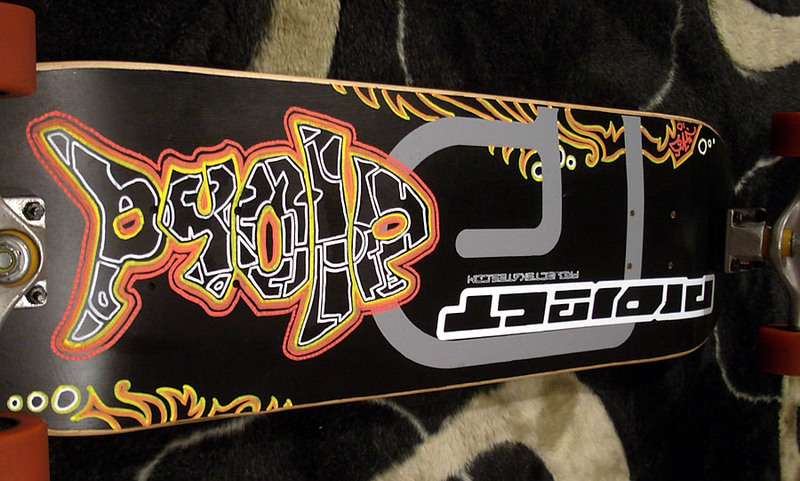 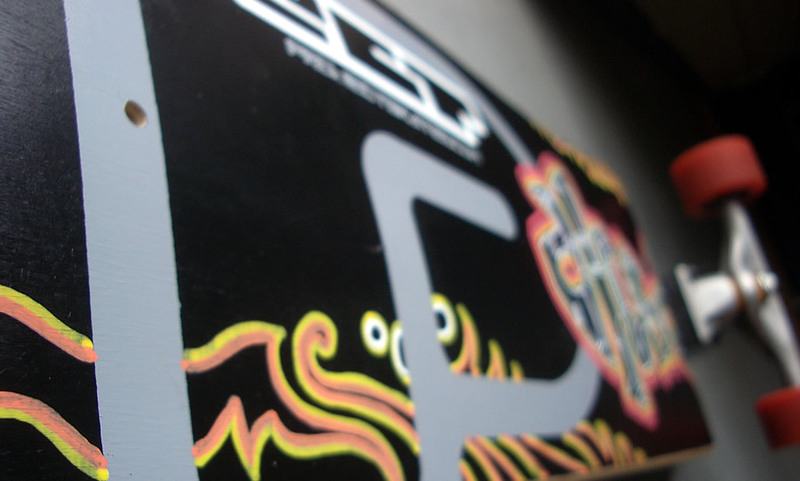 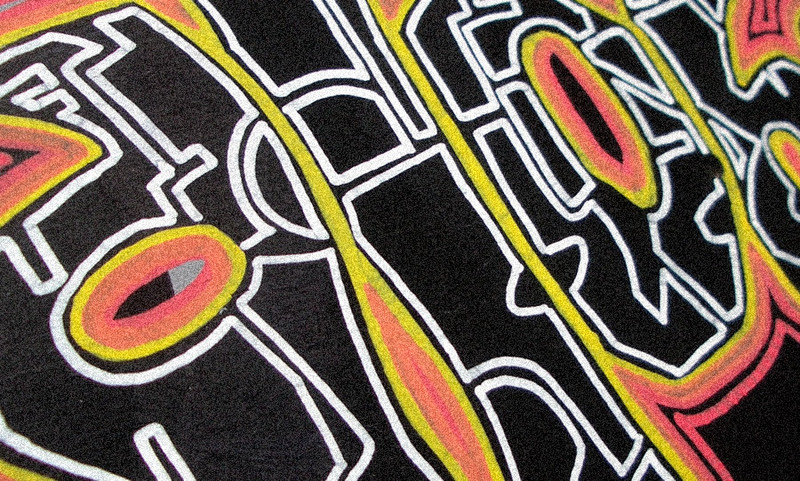 Posted in art.design.life.Tagged decks, design, fabrication, graf, illustration, paint, skate.